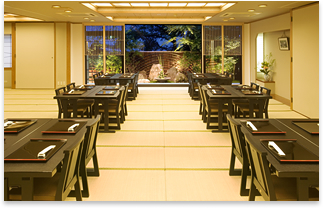 These professionals of enkai banquets will add an extra touch of grace and splendor to your gathering. 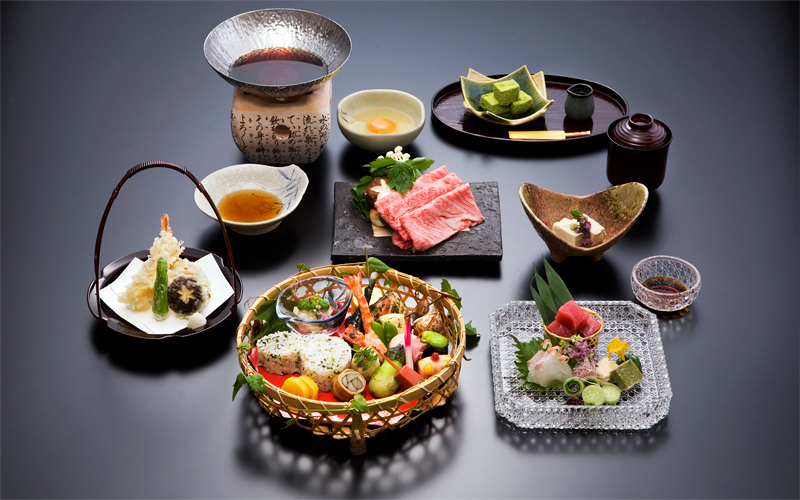 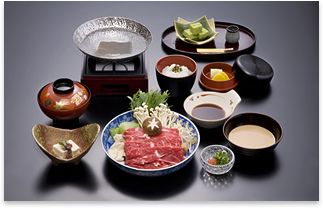 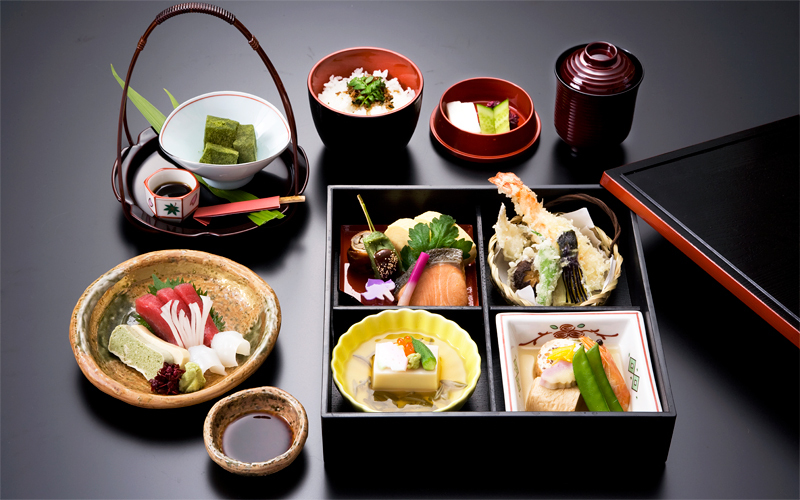 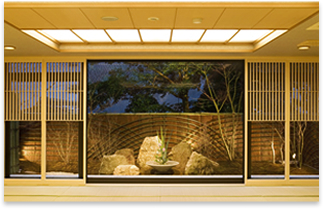 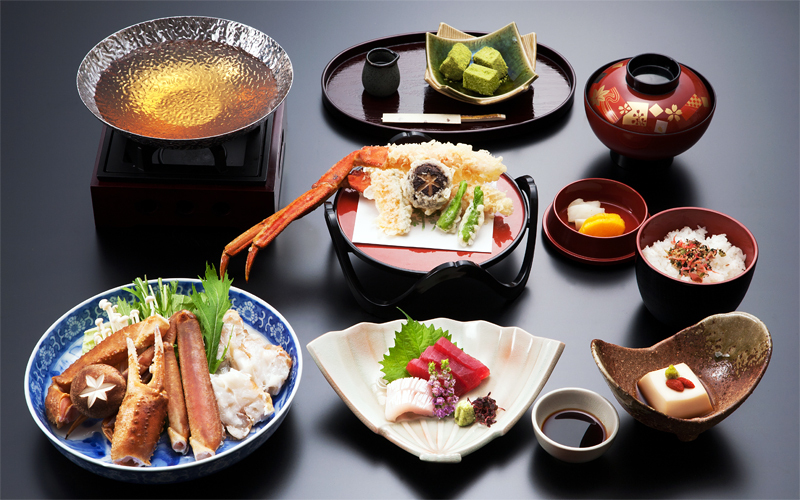 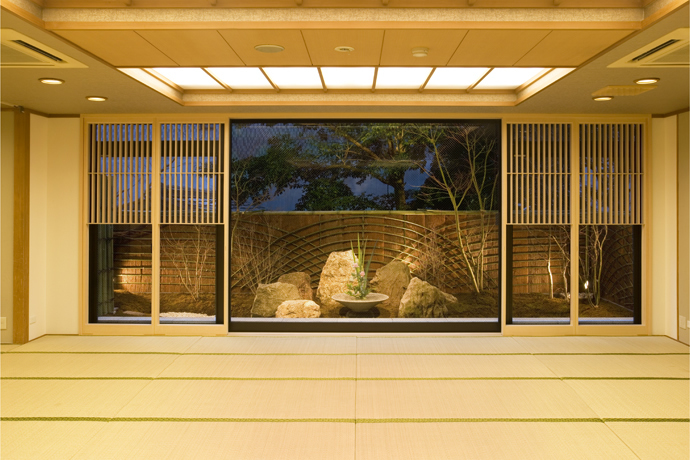 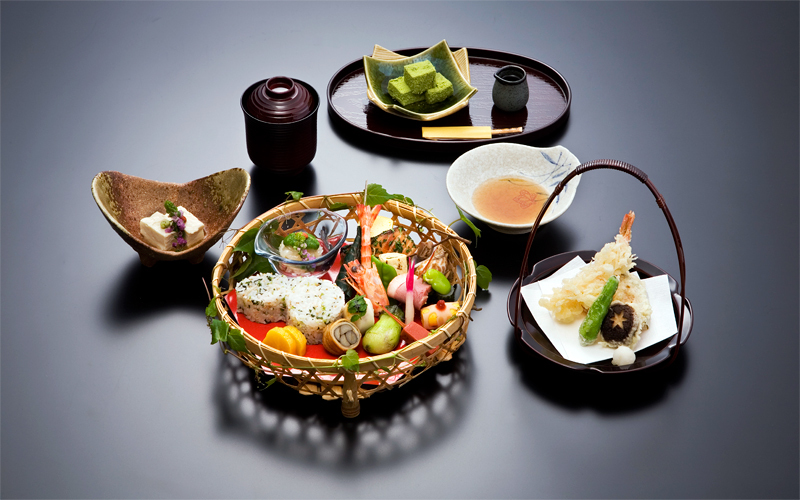 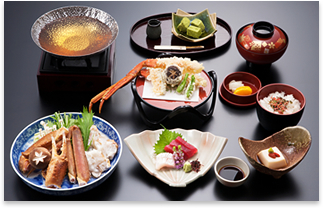 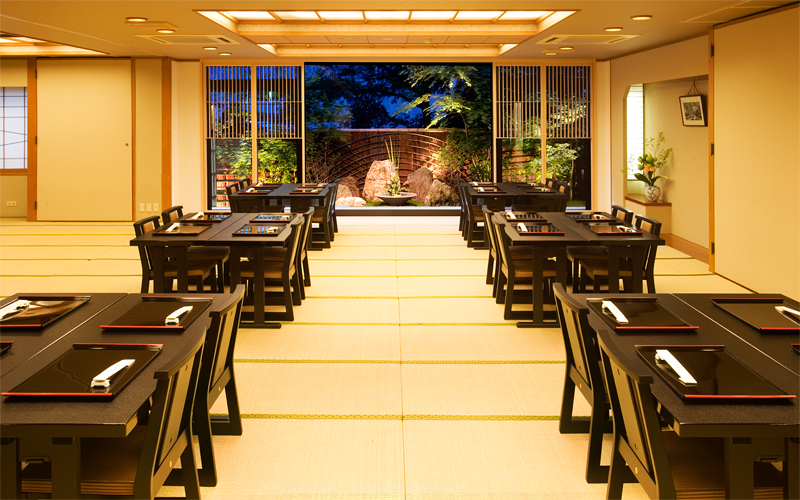 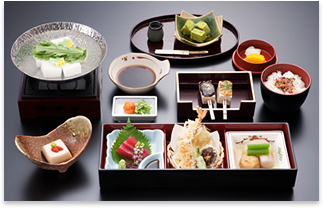 Your experience at the Kyoto Ryokan Hirashin will be unforgettable. 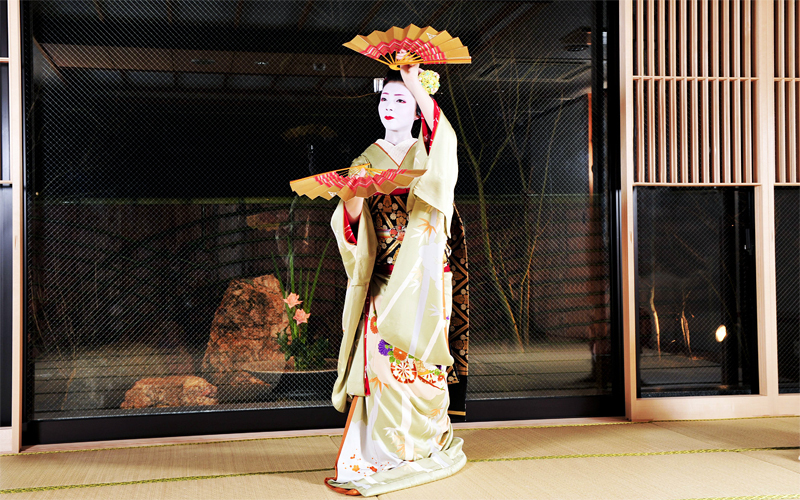 * Maiko is the general term for apprentice geishas (five to six years of training). 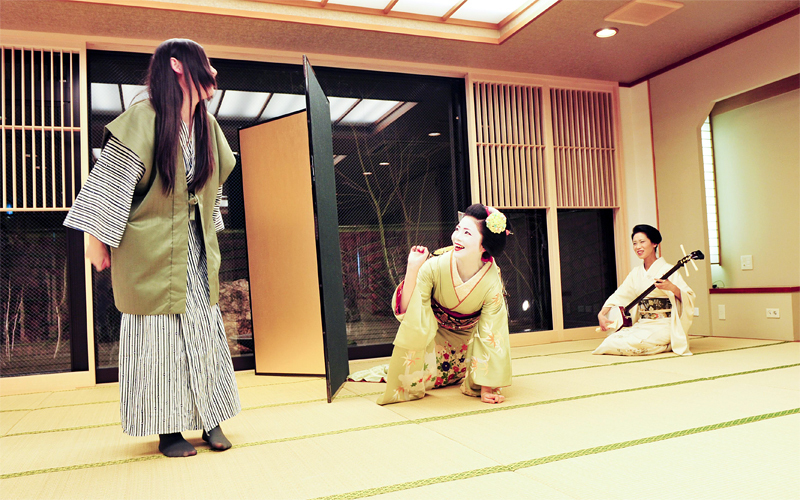 During this time the women undergo comprehensive study of dance, playing the shamisen, and entertaining guests. The Maiko who have completed stringent training in artistic accomplishments, Kyoto language, and etiquette are one of the proudest cultural traditions that Kyoto can show the world. 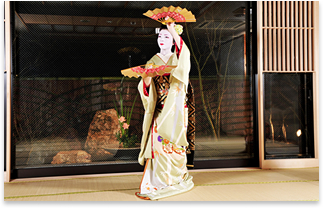 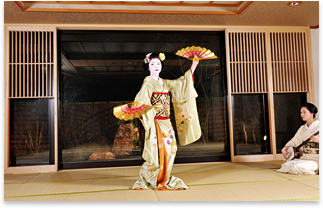 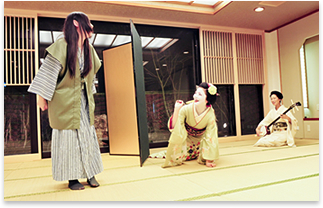 Come and enjoy a one-of-a-kind experience with Maiko entertainment at the Kyoto Ryokan Hirashin. 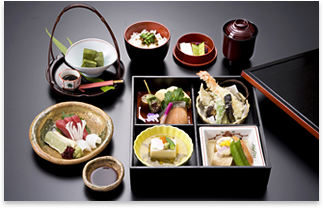 and Lunch & Dinner page.